The Aquidneck Island Planning Commission (AIPC) will be holding a public forum on solar energy at the Salve Regina Pell Center at 6pm on September 23. This will be the first in a "Smart Island" series of forums, according to a release from the AIPC. 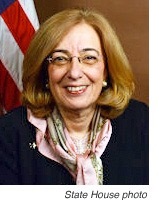 "Solar and Beyond: the Aquidneck Island Energy Forum" will feature some of RI's leading advocates and decision-makers on energy policy: State Representatives Lauren Carson and Deborah Ruggiero; Marion Gold, Commissioner of the Rhode Island Public Utilities Commission; and Carol Grant, Commissioner of the Rhode Island Office of Energy Resources. A panel discussion with energy experts and leaders from the private, public, and non-profit sectors will follow the speakers. The evening will end with a discussion about building a clean, sustainable and affordable energy future for the communities of Aquidneck Island and beyond. 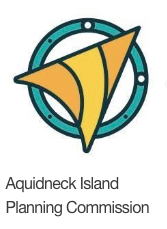 The Aquidneck Island Energy Forum, hosted in partnership with Acadia Center and Emerald Cities Rhode Island, will take place from 6:00-8:00pm on Thursday, September 22nd at the Salve Regina’s Pell Center, 518 Bellevue. Admission is free and open to the public but space is limited. Register online here. 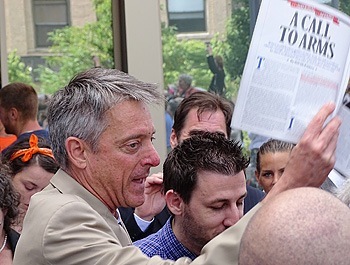 Bristol County DA Sam Sutter holds a copy of Bill McKibben's article. Photo credit: Peter Bowden. In one of the most delightfully unexpected twists in a US courtroom since Miracle on 34th Street, the Bristol County District Attorney, Sam Sutter, dropped criminal charges against two men who had used a lobster boat to block a coal shipment at the Brayton Point power station and promised to join them at the People's Climate March in New York in two weeks. "Political leadership on this issue has been gravely lacking," Sutter said, in video taken at the press conference this morning outside the Fall River District Court where he announced the deal which dropped the criminal charges in favor of civil infractions with restitution to the towns affected. 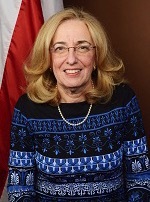 Sutter went on to say that he was pleased to have reached an agreement that "symbolizes our commitment at the Bristol County District Attorney's office to take a leadership role on this issue." "I certainly will be in New York in two weeks," he said. He showed the assembled media a copy of Rolling Stone featuring an article by climate activist Bill McKibben urging people to attend the People's Climate March on September 21. This afternoon, the Better Future Project, which had been organizing support for the two climate activists through the web site Lobster Boat Blockade.org, sent a release to media with the background and responses from the two men. In May 2013, Ken Ward and Jay O’Hara used a small white lobster boat, the Henry David T, to block a shipment of 40,000 tons of coal to the Brayton Point Power Station in Somerset, MA, the largest coal plant in New England. They were charged with conspiracy, disturbing the peace and motor vessel violations and faced up to several years in jail. “The truth is that taking these sorts of actions is necessary in light of the drastic news that continues to be described by the science. This decision by the District Attorney is an admission that the political and economic system isn’t taking the climate crisis seriously, and that it falls to ordinary citizens, especially people of faith, to stand up and take action to avert catastrophe,” said Jay O'Hara, a Quaker. The Climate Summit will take place at the United Nations on Sept. 23. The weekend before, on Sunday, Sept. 21, several hundred thousand people are expected to participate in the People's Climate March in New York, calling on the world leaders attending the Summit to take action. If you're interested in participating, buses will be running from Rhode Island to the event. 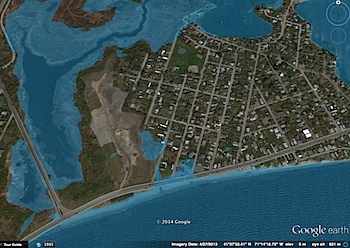 In an article in the Portsmouth Times this week, a map I had created in Google Earth of Island Park with a 1-meter sea level rise appeared to show more potential flooding because of the resolution of the map (technically, the eye height from which the image was snapped.) While this was unintentional, I apologize for any confusion and anxiety this may have produced. 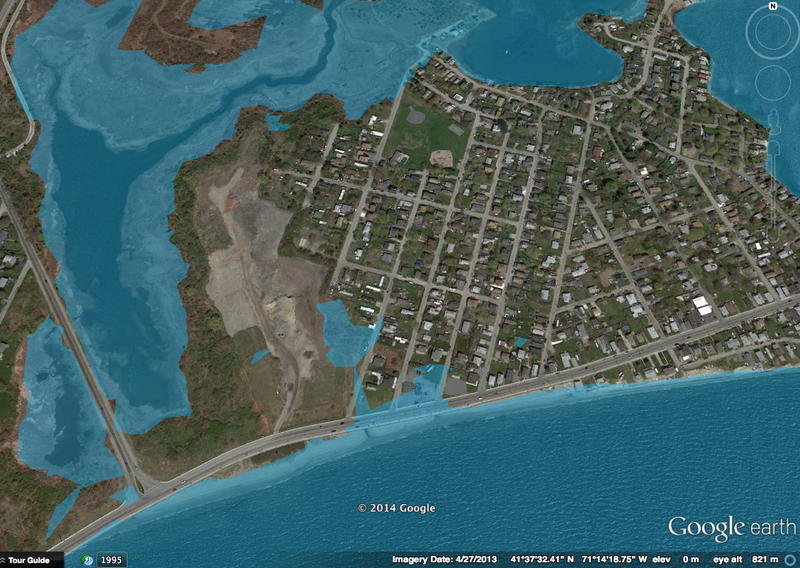 I've attached a new map, which uses the outside estimate of year 2100 rise from the EPA, shot from a much lower altitude to improve resolution, and it clearly shows that even at 1.4 meters of sea level rise, there would still, technically, be a connection between Island Park and the rest of Aquidneck Island. I received an e-mail from one of Portsmouth's public officials complaining about the inaccuracy, so I wanted to set the record straight. The map was incorrect. I have heard that the Planning Department is in the process of drawing up official maps for various sea level rise scenarios as part of the Natural Hazard Mitigations Plan update, and I would urge all my neighbors here in the Park to study those when available. Again, my apologies for this error. STOCKHOLM, 27 September - Human influence on the climate system is clear. This is evident in most regions of the globe, a new assessment by the Intergovernmental Panel on Climate Change (IPCC) concludes. Warming in the climate system is unequivocal and since 1950 many changes have been observed throughout the climate system that are unprecedented over decades to millennia. Each of the last three decades has been successively warmer at the Earth’s surface than any preceding decade since 1850, reports the Summary for Policymakers of the IPCC Working Group I assessment report, Climate Change 2013: the Physical Science Basis, approved on Friday by member governments of the IPCC in Stockholm, Sweden. 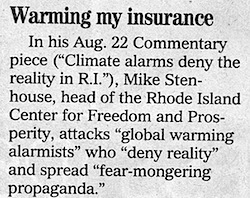 “Observations of changes in the climate system are based on multiple lines of independent evidence. Our assessment of the science finds that the atmosphere and ocean have warmed, the amount of snow and ice has diminished, the global mean sea level has risen and the concentrations of greenhouse gases have increased,” said Qin Dahe, Co-Chair of IPCC Working Group I. Thomas Stocker, the other Co-Chair of Working Group I said: "Continued emissions of greenhouse gases will cause further warming and changes in all components of the climate system. Limiting climate change will require substantial and sustained reductions of greenhouse gas emissions." “As the ocean warms, and glaciers and ice sheets reduce, global mean sea level will continue to rise, but at a faster rate than we have experienced over the past 40 years,” said Co-Chair Qin Dahe. The report finds with high confidence that ocean warming dominates the increase in energy stored in the climate system, accounting for more than 90% of the energy accumulated between 1971 and 2010. Rajendra Pachauri, Chair of the IPCC, said: “This Working Group I Summary for Policymakers provides important insights into the scientific basis of climate change. 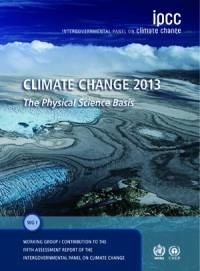 It provides a firm foundation for considerations of the impacts of climate change on human and natural systems and ways to meet the challenge of climate change.” These are among the aspects assessed in the contributions of Working Group II and Working Group III to be released in March and April 2014. The IPCC Fifth Assessment Report cycle concludes with the publication of its Synthesis Report in October 2014. “I would like to thank the Co-Chairs of Working Group I and the hundreds of scientists and experts who served as authors and review editors for producing a comprehensive and scientifically robustsummary. I also express my thanks to the more than one thousand expert reviewers worldwide for contributing their expertise in preparation of this assessment,” said IPCC Chair Pachauri. Read the The Summary for Policymakers and the Fact Sheet of Headline Statements from the WGI AR5 Summary for Policymakers. Full disclosure: Written from a press release 15 feet above mean high tide.